Garden sprayers are gardening tools designed to help people take care of their plants by spraying liquids, powder or granules onto them. Gardeners use them for various purposes: to fertilize the plants, prevent diseases, and control pests. This invention helps make gardening not only easier, but also more efficient. They’re also used for various other home care chores such as cleaning the car, washing windows. The origin of spraying tools dates back to hundreds of years ago. People realized the need for hand-held containers that they could carry around their gardens, spraying and walking at the same time. Garden sprayers have grown tremendously in popularity due to their portability and ability to help owners to apply judicious amounts of whatever substances are necessary to their plants. Today, garden sprayers come in all shapes, sizes, functions and brands. It can be rather overwhelming to look for the best garden sprayer for yourself. That is why we are here to help you with all the best possible tips, and show you the best garden sprayer reviews for 2019. 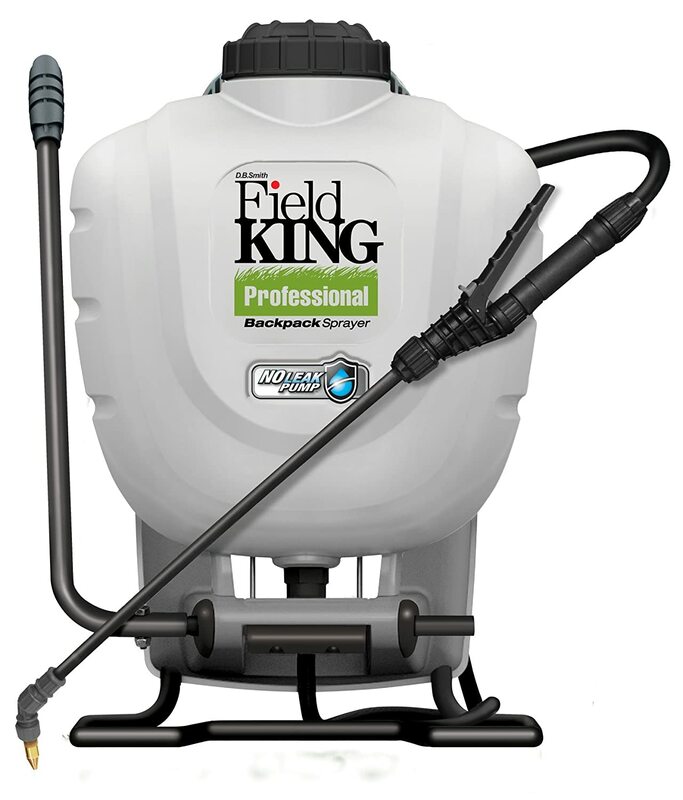 Three of the most well-known types of garden sprayers are trigger sprayers, hose-end sprayers and compression sprayers. Each one has its own characteristics and effects on the plants. 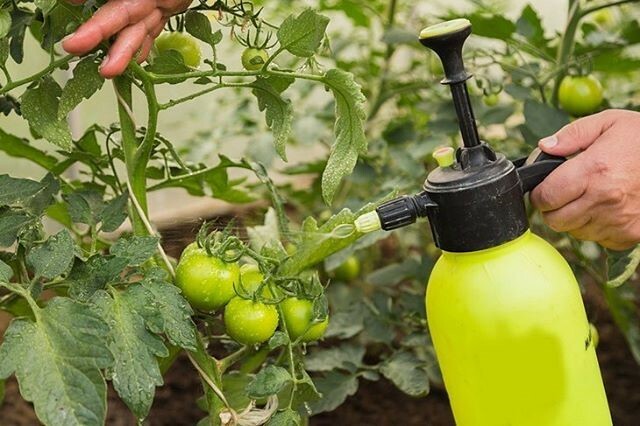 Therefore, being aware of the advantages and disadvantages of these all these types of sprayer is crucial before choosing the best garden sprayers for your needs. It is also wise to look at various best garden sprayer reviews online to get the most useful information. 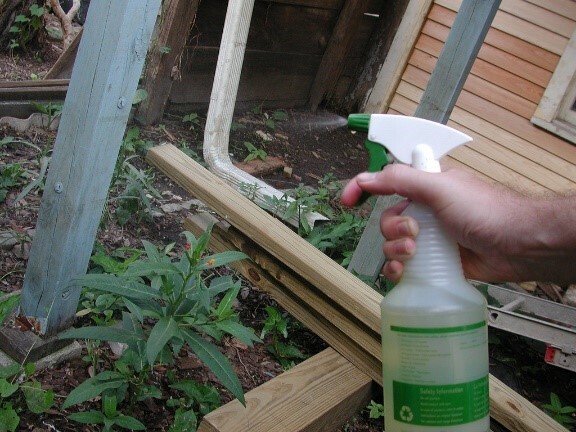 Some garden sprayers can only contain 8 ounces of liquid, while some can carry up to 5 gallons. To choose one of the best garden sprayers, you need to take into account what kind of substances you’ll be spraying onto your plants. Another factor to consider is how often you intend to spray – on a daily basis, once every two weeks or just once a month. When you take all these factors into account, your gardening chores will be much easier and you’ll save time. You can choose from garden sprayers with wheels attached or backpack sprayers. If you have a big yard to cover, you may require gallons of garden liquid for just one time of spraying. Remember that a liter of liquid weighs a kilogram. In this case, you’d be better off with a sprayer with wheels or a backpack sprayer, but remember that wheels are suitable for flat terrains, while backpack models are designed to tackle uneven landscapes or hillsides. If you plan to spray your garden on a regular basis for years to come and want to avoid constant replacements of equipment, go for one with gaskets that can stand the test of time. You should also choose plastics that are resistant to UV. It is recommended that you use containers with wide openings so that cleaning is easy. In general, there are two types of nozzles used in garden sprayers. The first kind, which are called hollow-cone nozzles, are best for applying pesticides and fungicides to shrubs. The second kind, known as flat fan nozzles, are the ultimate choice for spraying brass herbicides or herbicides made of galvanized steel. It is a good idea to have a safety valve because its function is to automatically release the pressure after application. Without it, you will need to unscrew the lid to free the pressure yourself and that means more labor. Great! Now you have in your hand a collection of the most important tips for buying one of the best garden sprayers. Don’t stop here! Continue to read our best garden sprayer reviews below to see the bigger picture. There is no-lock feature on the spray handle so continuous pressing while spraying is required. This model has been designed for ease of use. The translucent container allows for easy cleaning and filling. The pump handle has a comfortable grip which is convenient to pump and carry around. This product can be used with all popular weed killers, fertilizers and pesticides. 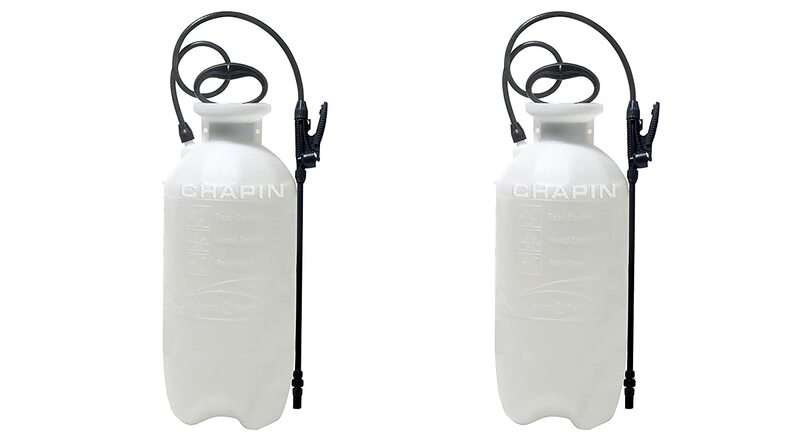 One feature that makes it deserve to be on the best weed sprayer list is the SureSpray Anti-Clog Filter – a special design by Chapin, which effectively prevents clogging of the nozzle. This model comes with a wand measuring 12 inches long, a hose of 28 inches long, as well as an adjustable nozzle. It can keep pressure well. And it does not take long to build up the pressure, and the bottle also empties well. The wand does a smooth job of spraying bushes and of penetrating small places. With the flexible sprayer, you can have a 360-degree spray that is excellent for taking care of the back part of the leaves. It is able to spray a stream of around 6-7 feet. There are other convenient features that you’ll appreciate as well. The top shaped like a funnel helps avoid the spilling of chemicals when you fill the container up. It is easy to keep track of whatever inside with the clear quantity marks. It is lightweight, easy to carry and durable, It also comes at a reasonable price. This is a sprayer with many uses. It is ideal for not only lawn maintenance but also for commercial cleaning, disinfecting as well as processing tough chemicals. It also has numerous other amazing features which make it one of the best weed sprayers available. The features include a shut-off valve with an easy grip, in-line filter convenient for cleaning, 21-inch poly wand covered with Viton seals for durability, a pressure relief valve to avoid the spilling of chemicals, and 5 versatile nozzles. The price is competitive, considering its multiple handy features and its longevity. Other expensive brands can cost twice as much, but they only last a short time. This product’s convenience features are what place it among the best weed sprayers on the market. The shoulder strap is great for those who want to carry it around while still keeping their hands free. There is a clip to keep the spray wand in place. The cap at the end of the sprayer does a wonderful job of containing the leaked chemicals, keeping the floor clean and preventing them from getting into food or other undesirable places. The whole body of the container is translucent so users can effortlessly see whatever inside. This backpack sprayer has a lot of desirable features. The pump is specially designed so that chemicals do not spill out on your back when you are using it. The poly wand measures 21 inches long and is covered with high-quality Viton seals to ensure durability. There is also an in-line filter and a shut off with brass components that can be locked. Compared to the Smith Contractor 190216 2-Gallon Sprayer, this product offers only 4 nozzles, but they are by no means any less versatile. This model deserves the title of Best Pump Sprayer because 5-7 pumps are all you need to get up enough pressure for a large-scale application. The pump is also surprisingly easy to use. Note that the pump handle is located on the left so you can conveniently pump and spray at the same time. Another factor that makes this the best pump sprayer is the spray ability of up to 20 vertical feet. With only a few seconds of pumping, you generate enough pressure to cover a large area. It is worth mentioning that this backpack is lightweight enough for elderly people to carry 3 gallons or more and still happily enjoy their gardening tasks. This best pump sprayer also has some soft padding for the lower back area that makes carrying it extremely comfortable. The chest and shoulder straps enhance balance and add to the great portability. Should you need to replace any parts, they are readily available and at a reasonable cost, too. This is considered the best hose end sprayer thanks to its amazing features. This sprayer is compatible with any hose end. There are 16 mixing ratios available. The container’s capacity is 100 gallons. Backflow is effectively prevented by the Anti-Siphon mechanism. 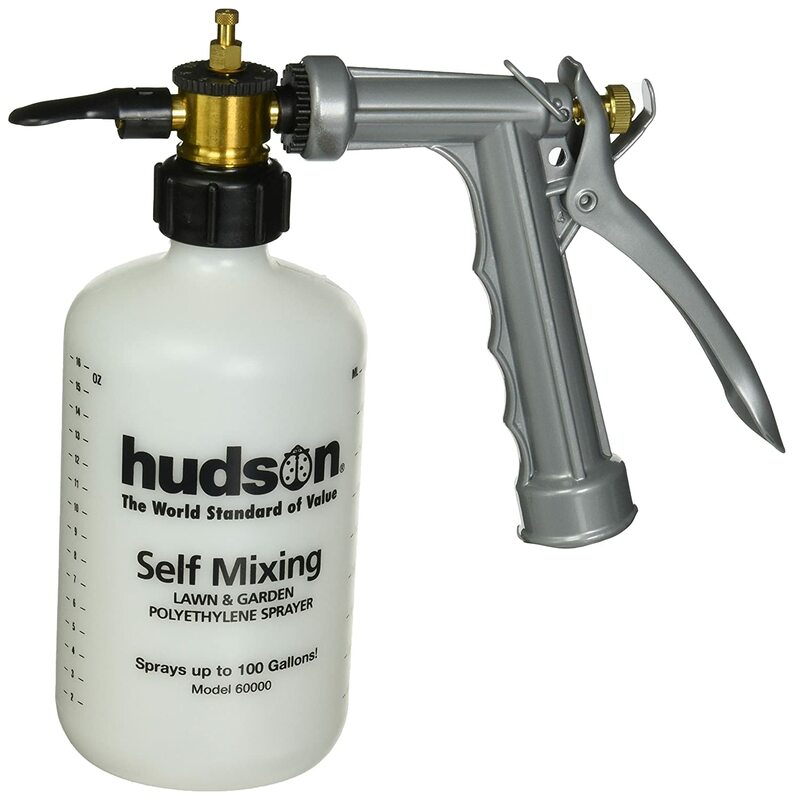 This brand prides itself on the motto “Fill, Set, Spray” because this sprayer is extremely easy to use. You just have to pour the chemicals into the machine and let it do the job of mixing. However, bear in mind that granular products cannot be used with this sprayer. With the capacity of 100 gallons, a large area can easily be covered. You can conveniently refill without having to remove the handle because this product has a detachable bottom. The flexible lip located at the top end of the sprayer can rotate 360 degrees. This makes it perfect for spraying downwards. The 180-degree rotation is great for spraying upwards. You will even be able to use this to clean high windows on the second floor. There are many advantages of the detachable deflector. When removed, this can produce a stream of liquid measuring at least 40 feet. This incredible distance enables the user to stand still and spray without getting too close to an undesirable place. For example, if you want to blow harmful ticks or wasps away without getting close to them, then this is the best hose end sprayer to buy. Here is another stunning invention that deserves the title Best Hose End Sprayer. It is proudly made in the US. There are 16 options that all offer you accurate mixing. What’s really great is its capacity of up to 100 gallons with just a single fill. 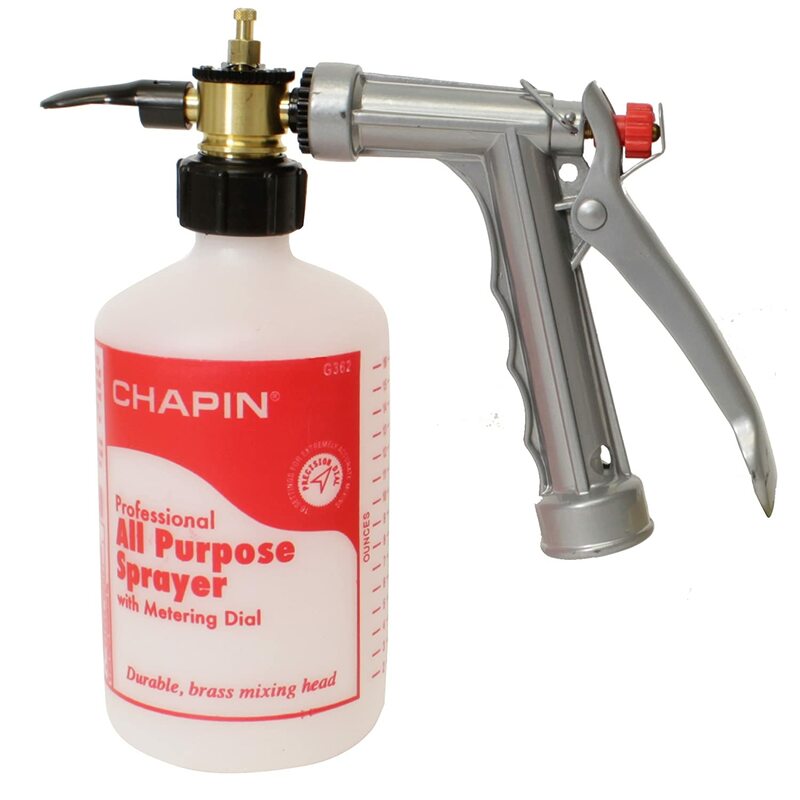 It may not be as versatile as the Chapin G362 above, but it is ideal for spraying shrubs, trees, as well as lawn, which are usually the most common garden applications. One factor that makes this the best hose end sprayer you may find is the spray distance of at least 30 feet. Moreover, the stream is incredibly powerful and accurate. You can also control how much and exactly where you want to spray. There are concise instructions written on the bottle itself so it is convenient for beginners who often have to consult the guide, but do not want to carry a handbook everywhere. The products above are our best picks for the best garden sprayers. 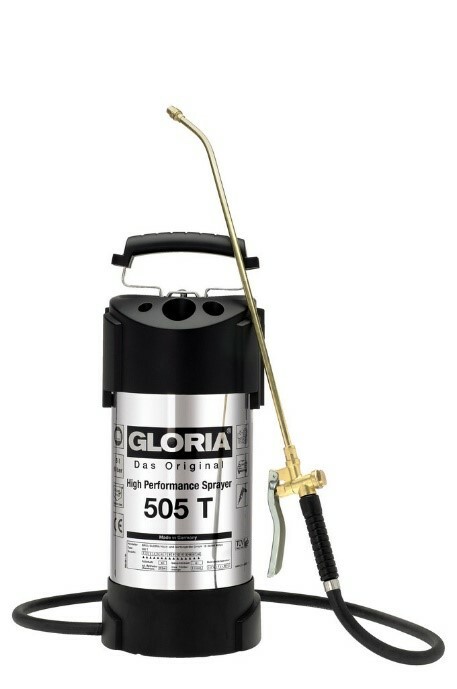 If we had to choose just one, we would probably go for the Chapin G362 Professional All Purpose Hose End Sprayer. This particular model can be used for many purposes, and we personally want to own a versatile machine so that we can easily take care and keep track of it. Moreover, with all the convenience features, the powerful spray, the accurate automatic mixing mechanism, the durable materials and the coverage of large areas, this one would certainly be good value for our money. It is also relatively cheap compared with some of the other products. Its few drawbacks are minor. 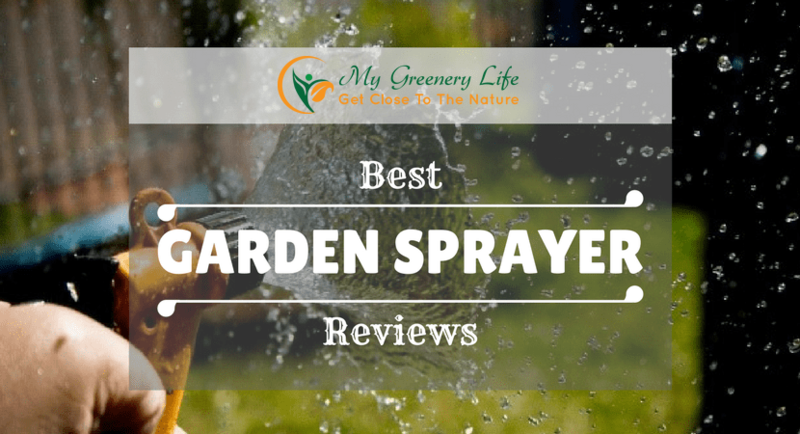 We really hope you have enjoyed reading our best garden sprayer reviews 2019 and most importantly, have found them useful. See you next time with even higher-quality posts!